There is no doubt about it. Technology is playing a major impact on the business of financial advisors. As a matter of fact, it’s disrupting every industry. 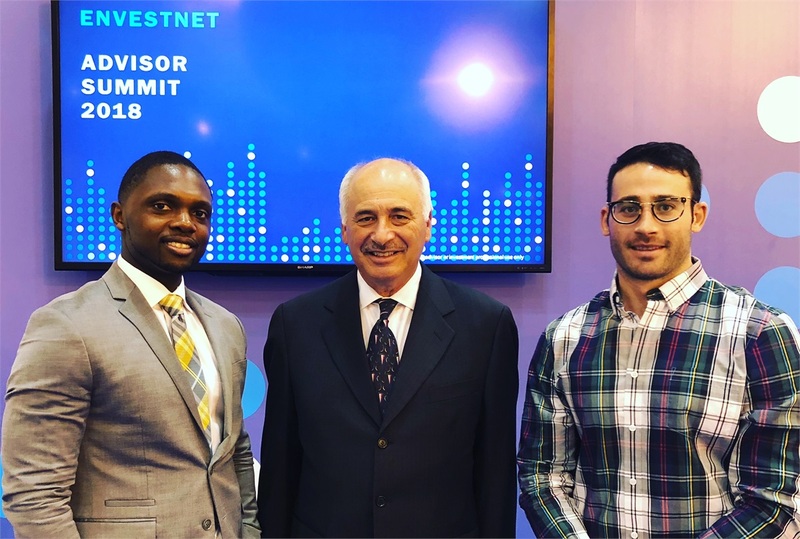 Over the past two weeks, I traveled coast to coast, spending time at multiple technology summits geared towards independent financial advisors. My last stop being an Innovation Lab in Silicon Valley. Now that I’m finally settled back in the office, it’s not fear of the “robo’s” and artificial intelligence that’s overwhelmed me in this fresh, career journey of financial advocacy – it’s the sense of even more opportunity. Today and in the future, advisors have more data, helpful tools and platforms at their fingertips to individually aid each client to finding success and reaching their goals by evaluating a more complete picture. Paul with Evan Vladem with Associated’s Financial Advisor Assistant/Former EIOC student Hezekiah Ross. Pair that with the most powerful tool – a human advisor who can empathize with and understand the situation of the HUMAN on the other end, giving true meaning to that data for the client to act upon makes the future of this industry completely bright and brings insurmountable value to the client/advisor relationship. The biggest question, as the globe enters a shift in generational leadership and technological change (especially in my industry where the average advisor is 60 years old), is whether today’s financial advisors (or every other industry you look at) truly embrace it. What I know for sure is we are.